Swift Hitch Review | 1960 Airstream Ambassador Blog! Swift Hitch sent Colin and I a couple review units for their backup hitch system. We talked about them on Episode 185, be sure to check that out for our in-depth review. 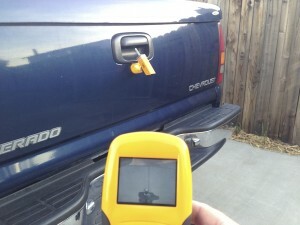 The Swift Hitch System consists of a battery operated monitor and a camera with a magnetic mount. The SH02 version has a battery that will last 10 hours. The idea is simple enough. You place the camera on the back of your tow vehicle and back up right to your coupler watching the wireless monitor inside your vehicle. It works great and even has IR lighting for night viewing. 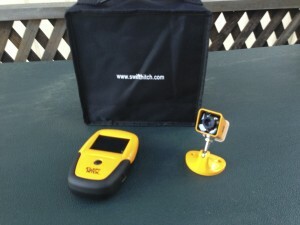 Check the video for a full review and visit www.swifthitch.com for more info! This entry was posted in on May 23, 2013 by Tim.